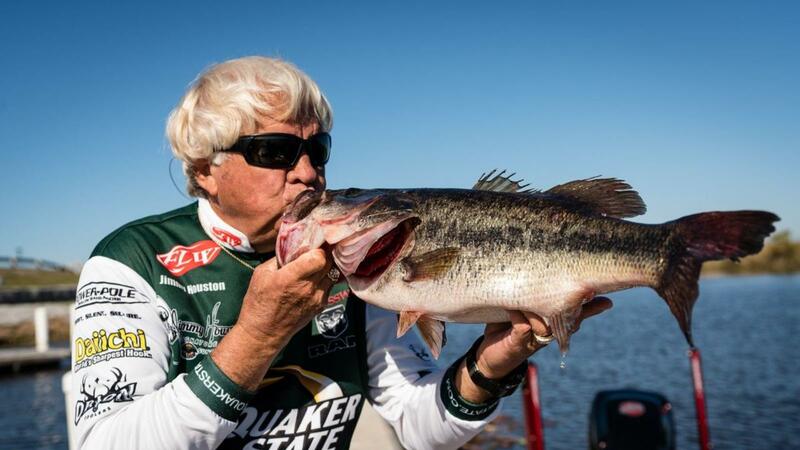 "America's Favorite Fisherman" and Quaker State Ambassador, Jimmy Houston Named Quaker State 400 Grand Marshal. "I am honored that Quaker State and Kentucky Speedway have asked me to be the Grand Marshal for the Quaker State 400 this weekend," said Houston. "I got to drive the pace car a couple of years ago, so this is another bucket list item I can check off. It is a special honor to me because not only do I have a lot of NASCAR drivers that are friends of mine, but I know that a tremendous amount of NASCAR fans are also fishing fans." Houston isn't the only person in his family to have had many accomplishments. His wife, Chris, was the first woman ever inducted into the Professional Bass Fishing Hall of Fame, winning seven Angler of the Year titles, Three Classics, multiple tournaments, and over 25 boats along the way!